Chimney Wizard has been owner operated since 1981. When it comes to chimney cleaning and repair services, trust none other than Chimney Wizard Sweeps Inc. in Apex, NC. Since 1981, we have been sweeping and repairing different types of chimneys, including masonry, prefabricated, and wood stove chimneys. Our team is equipped with the necessary skills and equipment, enabling us to offer specialized chimney services. At Chimney Wizard Sweeps Inc., we take great pride in our attention to detail. Our sweeps are trained to use the top-of-the-line Chim Scan chimney camera so we can properly assess the condition of the interior of your fireplace and chimney system. It also helps us identify the chimney services you may need. Chimney Wizard will give you an honest assessment—not a sales pitch. Chimney waterproofing plays a vital role in extending the life of your fireplace. Since it is placed above your roof line, your chimney is exposed to severe weather conditions which can lead to water intrusion. Avoid expensive repairs by hiring the chimney sweeps of Chimney Wizard Sweeps Inc. in Apex, NC. We offer various services, including chimney cleaning, condition reports, repair, and installation. Water infiltration is a tricky problem. Water finds the path of least resistance and can show up far from the actual leak. Chimney Wizard is the waterproofing expert and has over 36 years of experience finding and solving water leaks. Top of line products are used to waterproof your chimney. Don’t let water leaks cause damage and cost you money in repairs. Let Chimney Wizard waterproof your chimney the correct way with the correct products. Waterproofing by Chimney Wizard is your answer to preventing major issues. Make the call. A prefabricated fireplace has what is called a chase. A chase is the outside of the chimney. Your chase can be covered with stone, brick or siding. The top of this chase has a pan or chase cover covering the top. This prevents water or animals from entering the chimney chase. Chase covers are made of metal and they tend to rust and allow water to penetrate your chase. Have Chimney Wizard provide you with a new custom chase cover. Chimney Wizard will measure and fabricate a new chase cover that is pitched to allow water to run off. Our chase covers also has a drip edge that help prevent the water from rolling up and under the chase cover. We provide a couple of metal options for you to choose from. Stainless steel is your best options but we will let you know the differences. Call today for your new chase cover fabrication and installation. A chimney cap is mounted on the top of your chimney. The size, style and metal type of chimney cap will depend on the type of chimney you have, how many flues there are and what main purpose you need this cap to serve. 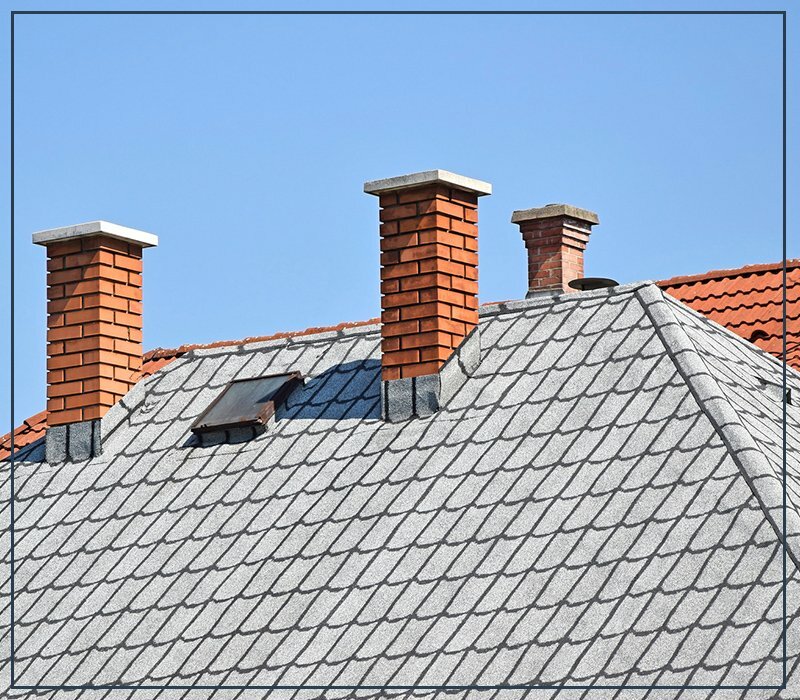 Chimney caps are essential to the safety and proper functioning of your chimney. Chimney Wizard can advise you on the best chimney cap for your individual situation. We are the Wizard of chimney caps give us a call. Do you have questions about our chimney cleaning or installation services? Feel free to get in touch with us. Our owner is on every service call. This is to ensure that all your concerns will be properly addressed. Schedule our chimney services by giving us a call at 919-362-9260 and be one of our satisfied clients today.